We are passionate about what we do and the people we serve. Because of this, we work diligently to build lasting relationships with our clients so that they are confident in our Port St. Lucie garage door company and the services we provide. From the moment we opened our doors and began to fix yours, we have been bringing a different level of experience, dedication, and talent to every job we perform. That is why Guaranteed Garage Repair is setting the bar in Florida for garage door companies, and that is why our clients love us. A functional, reliable garage door is essential to your home, not only for your convenience, but also for your safety. Your garage is the largest opening in your home or building, and is thus one of the highest-risk areas for security breaches. With a quality, functional garage door, you can rest easy knowing that you, your property, your family, and your possessions have the best defense. We are local to Florida and love the communities we serve. These include: Brevard, Indian River, Martin, Okeechobee, Palm Beach, and St. Lucie Counties. We know that we have to earn your business and your trust. We do this simply by providing garage door parts, prices, and services so good, you won’t ever want to go anywhere else. We guarantee our products through the manufacturer’s warranty. Because we know that the parts we are authorized to sell and use are a reflection of our company, we choose only the best pieces from the most reputable names in the garage industry. We hire only the best garage door specialists and hold ourselves to strict timelines so that your time is never wasted. If your technician is late to your appointment, your next annual garage door maintenance is on us. All of our technicians have the latest training and come to you experienced so that you know the work work we do will last. 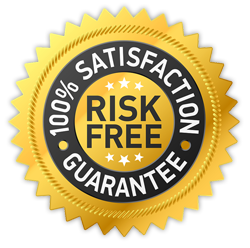 We guarantee it or it’s free for the lifetime of whatever product we installed. When you call us for a quote, we will give you a competitive price, and we will stick to it. Contact us today and see why we are Port St. Lucie’s Top Rated Local® garage door repair specialists.